For those that don’t know, I’m traveling at the moment and expanding my cooking horizons. I am posting infrequently this summer, but will drop in every now and then. Like now for instance, where I want to share a book I just finished. I thought that The Portrait of a Lady was a lovely book. Was it long? Yes. At times was it dense? Yes. But did it create memorable characters and interesting situations? Also yes. Reading this book reminded me of reading Dickens. I have no idea if that kind of statement would inflame the anger of literary historians or not, but for me it is true. Dickens is often considered heavy, old reading, but at the time it was written, it was sensational. The books were serialized and published a section at a time in local magazines. People would wait for the new chapters to see what was happening with their characters. It is hilarious to me to think that these were the soap operas of their time. 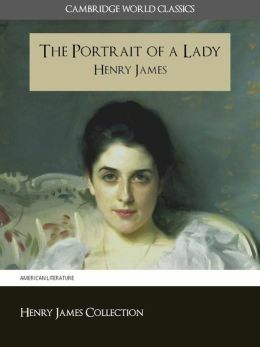 Henry James’s book, The Portrait of a Lady was also distributed like this. It was serialized and distributed to the public a little at a time. The book is rather sensational, even to me today. It tells the story of Isabel Archer. She is a woman in the 1880s that values her freedom. She doesn’t have to answer to parents, as they have passed away, and lives a life of relative freedom. When her wealthy aunt invites her to come to Europe, she jumps at the chance. At every turn, she turns down suitors, with the reason being she does not want to lose her freedom to marriage. When she inherits money, she at first explores the world. Eventually she is pulled into a marriage that she at first is very excited about. She wants to give up her freedom for this noble man and the life of beauty that they will leave. It is only too late that she realizes the truth of her situation. I really enjoyed Isabel. She is a very sympathetic character. I was rooting for her so much! I wanted her to succeed. I wanted her to pick the right suitor. I had my favorite. I bet many readers have different favorites. If the internet was up and running during James’s time, I bet there would be a Buzzfeed quiz about “Which Isabel Archer suitor best fits you?”. Not only is Isabel is a wonderful heroine to follow, but there is also a superb cast of side characters. An eccentric aunt, the witty though sickly cousin, a dashing English gentleman, Isabel’s best friend, the revolutionary female reporter, a successful square jawed entrepreneur from the United States, and more. Truly, this is a delightful book. I wasn’t thrilled with the ending, but James didn’t ask me. It helps of course that much of the book takes place in Italy, which speaks to me at the moment. I’m very glad I picked up this classic piece and gave it a try. you’re in reality a just right webmaster. The site loading velocity is incredible. It seems that you’re doing any unique trick. In addition, The contents are masterwork. you have done a magnificent job in this subject! It’s really a nice and useful piece of info. I am glad that you simply shared this useful info with us. Please keep us informed like this. Thank you for sharing. Whats Happening i am new to this, I stumbled upon this I have found It positively useful and it has aided me out loads. I’m hoping to contribute & aid other customers like its helped me. Good job. Hi, its good piece of writing about media print, we all know media is a enormous source of information. I would like to thank you for the efforts you have put in writing this web site. I’m hoping the same high-grade site post from you in the upcoming also. In fact your creative writing abilities has inspired me to get my own web site now. Really the blogging is spreading its wings quickly. Your write up is a great example of it.